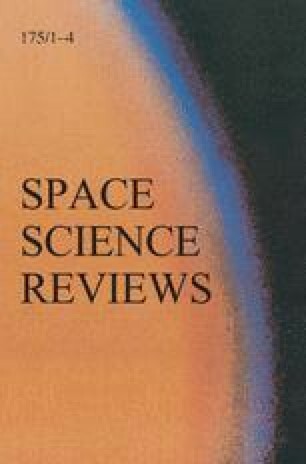 Evidence for two different physical mechanisms for acceleration of solar energetic particles (SEPs) arose 50 years ago with radio observations of type III bursts, produced by outward streaming electrons, and type II bursts from coronal and interplanetary shock waves. Since that time we have found that the former are related to “impulsive” SEP events from impulsive flares or jets. Here, resonant stochastic acceleration, related to magnetic reconnection involving open field lines, produces not only electrons but 1000-fold enhancements of 3He/4He and of (Z>50)/O. Alternatively, in “gradual” SEP events, shock waves, driven out from the Sun by coronal mass ejections (CMEs), more democratically sample ion abundances that are even used to measure the coronal abundances of the elements. Gradual events produce by far the highest SEP intensities near Earth. Sometimes residual impulsive suprathermal ions contribute to the seed population for shock acceleration, complicating the abundance picture, but this process has now been modeled theoretically. Initially, impulsive events define a point source on the Sun, selectively filling few magnetic flux tubes, while gradual events show extensive acceleration that can fill half of the inner heliosphere, beginning when the shock reaches ∼2 solar radii. Shock acceleration occurs as ions are scattered back and forth across the shock by resonant Alfvén waves amplified by the accelerated protons themselves as they stream away. These waves also can produce a streaming-limited maximum SEP intensity and plateau region upstream of the shock. Behind the shock lies the large expanse of the “reservoir”, a spatially extensive trapped volume of uniform SEP intensities with invariant energy-spectral shapes where overall intensities decrease with time as the enclosing “magnetic bottle” expands adiabatically. These reservoirs now explain the slow intensity decrease that defines gradual events and was once erroneously attributed solely to slow outward diffusion of the particles. At times the reservoir from one event can contribute its abundances and even its spectra as a seed population for acceleration by a second CME-driven shock wave. Confinement of particles to magnetic flux tubes that thread their source early in events is balanced at late times by slow velocity-dependent migration through a tangled network produced by field-line random walk that is probed by SEPs from both impulsive and gradual events and even by anomalous cosmic rays from the outer heliosphere. As a practical consequence, high-energy protons from gradual SEP events can be a significant radiation hazard to astronauts and equipment in space and to the passengers of high-altitude aircraft flying polar routes. This manuscript is based on a lecture given by the author upon receipt the 2012 George Ellery Hale Prize from the Solar Physics Division of the American Astronomical Society. It was funded, in part, by NASA grant NNX08AQ02G. The author thanks Ed Cliver, Steve Kahler, Frank McDonald, Chee Ng, Lun Tan, and Allan Tylka for their helpful comments and for discussions relating to this manuscript.